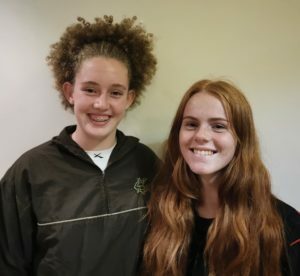 After their stellar performances for the Makana Netball teams, locals Jessica Pautz (Kingswood grade 10) and Erin Powers (DSG grade 9) have been selected for the Sarah Baartman U16 and U15 netball teams, respectively. Powers and Pautz were selected for the Makana Netball U15 and U16 teams at the trials held in the middle of March, which earned them the opportunity to attend the Sarah Baartman trials in Humansdorp on Saturday, 6 April. Hundreds of netball players, in the age groups U12 to U18, attended the trials on the Saturday. The girls were placed in teams using various combinations, in order to best display their talent and skills. Pautz and Powers are the only girls from Makhanda (Grahamstown) to have been selected for the Sarah Baartman District teams. The next step for Pautz and Powers will be the Eastern Cape Netball Trials in East London, to be held on Saturday, 13 April.